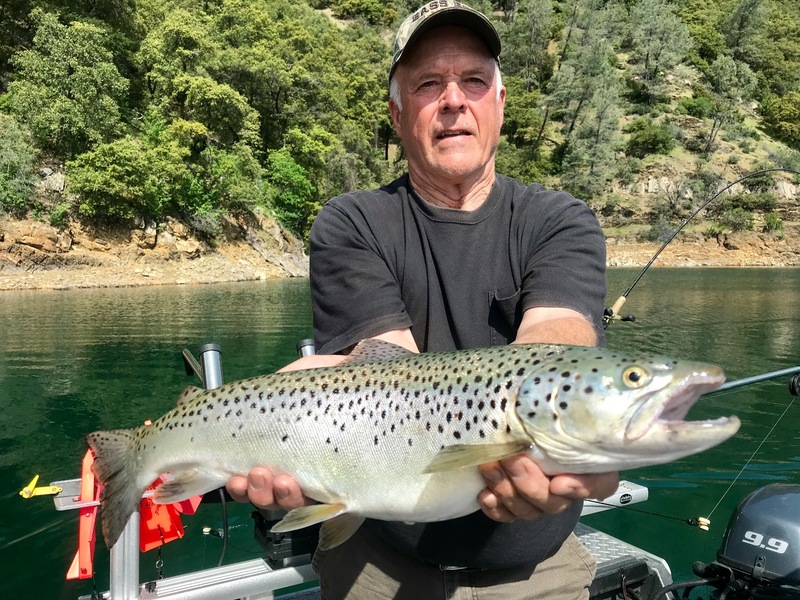 Shasta Lake adult rainbows are making their way back into the main body of the lake to fatten up on Shad after they have spawned! 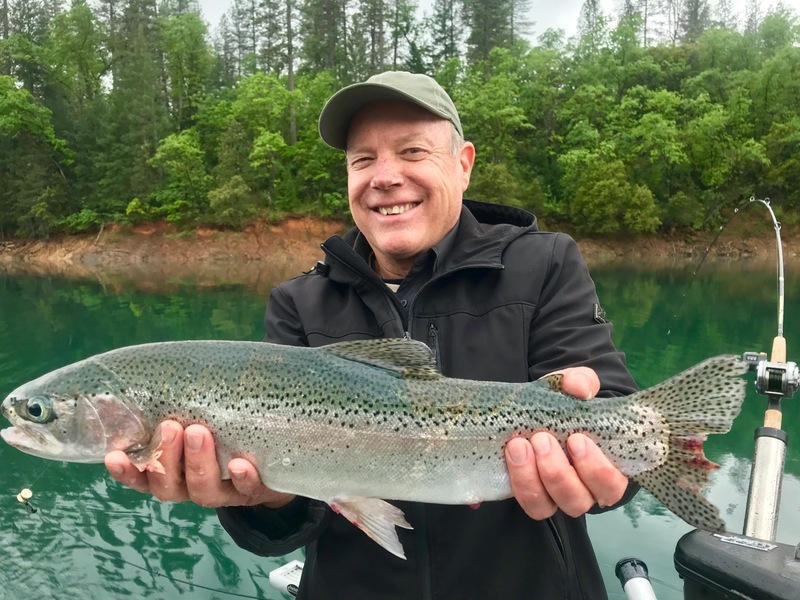 Today we fished Shasta Lake and were targeting rainbow trout in the wind and rain. It was on and off as far as the rain goes, but the bite remained pretty consistent. The bass were very active and getting spoons down past them to the trout was difficult at times. 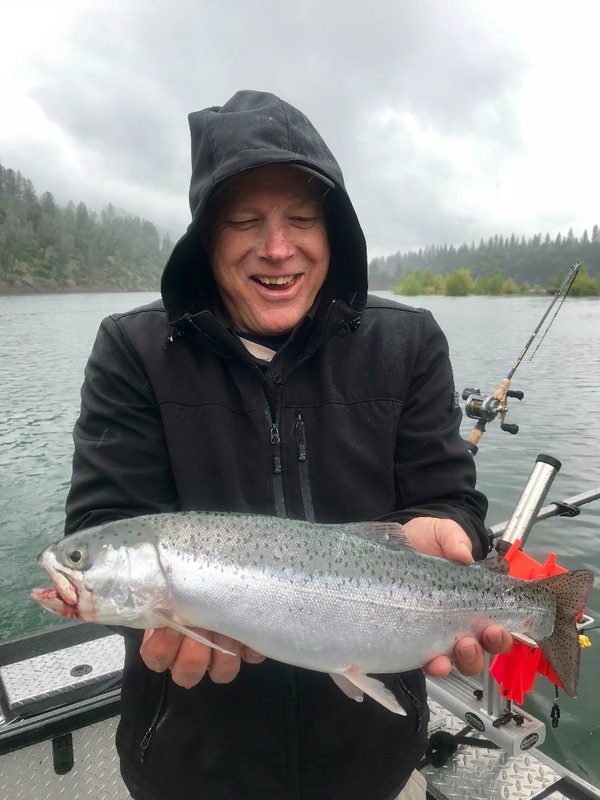 Water temps in Shasta are up around the mid 60's and the water color is great! We're starting to see some nice rainbow trout and it should just get better from here on out! I fish Shasta year round and can accomodate two person parties or large groups if thats your plan! I have plenty of openings in the months ahead so give me a call to check availability for any day your group may want to fish... Tight lines! 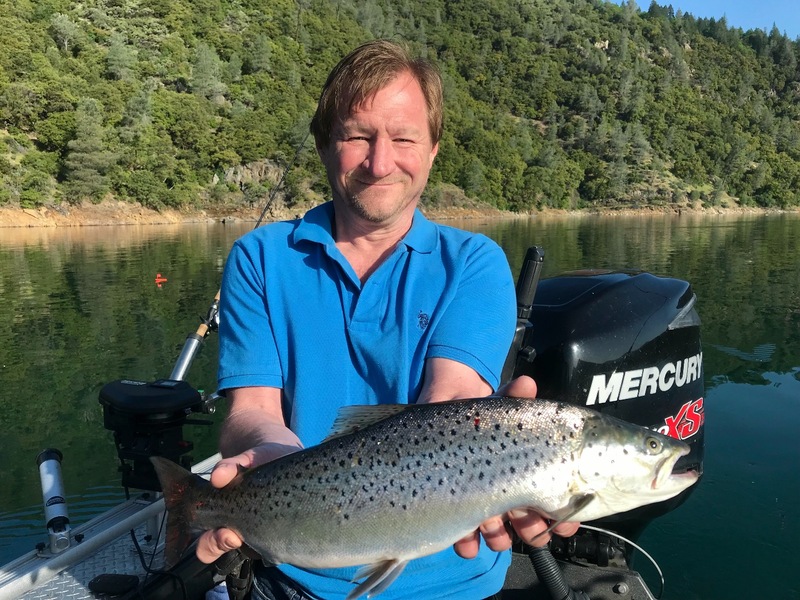 New Shasta Lake trout spoon!